Generally speaking, the finer, more saturated, and rarer the color of the stone is, the larger the impact on the overall value it will have. So How Is Color Graded? Despite being almost identical on a molecular level, colorless and colored diamonds are graded much differently when it comes to their hue. Colorless diamonds are graded based on the absence of color. The clearer the diamond the greater its value. On the other hand, colored diamonds are graded based on the type of color, saturation, prominence, and existence of modifiers. There are 3 main attributes gemologists and appraisers use to determine a diamond’s overall color grade; these are hue, saturation, and the existence of secondary colors and undertones. Let’s take a look at each. A stone’s hue can describe the existence and purity of its color. Of course, certain hues are much rarer than others; the rarer the hue the more valuable the gem. Red is by far the rarest color with only a handful of such diamonds ever appearing at a public auction. Purple is often argued to be as rare or rarer than red. While there is no hard evidence supporting this claim, purple diamonds are exceptionally rare with stones seldomly exceeding 3 carats in weight. 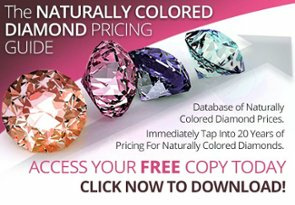 Pink, Blue, Green, and Orange diamonds are all tied for rarity. All 4 hues are exceptionally rare with pure, highly saturated hues being extremely hard to find. Having said that, they are more frequently found than reds. The final category belongs to browns, grays, and yellows. While these colors are among the most common, they are still colored diamonds, which equate to less than 1% of all diamonds mined. 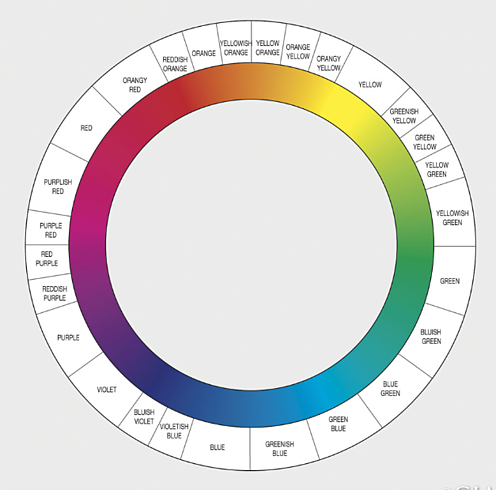 Color modifiers and undertones also play a significant role in the way a stone is perceived. A modifier is usually a second (or even third) hue that is present in the stone along its main color. Modifiers come first when describing a stone’s color, so for a pink diamond with purple as a secondary color, the proper color description would be purplish-pink. For more information on color modifiers, we broke down everything you need to know here. 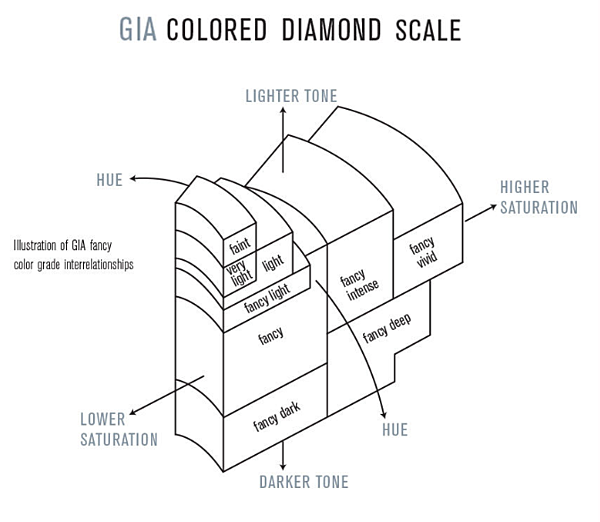 Undertones are usually not graded by the GIA but they largely affect a stone’s value. As humans, we are predisposed to certain colors or color combinations that are more appealing than others. So we might be more attracted to a purplish-pink diamond and shy away from a pink gem with orange undertones. If you find this interesting we have an entire article dedicated to the types of undertones that exist, and how each affects a diamond's value. Note that all of the above are graded using the diamond’s face up value, meaning how one views the stone when it is facing up. The true value of a colored diamond is derived from its natural color, however, with today’s technological advancements it is possible to alter the hue of a gem. From increasing to saturation, to adjusting undertones, scientists have found ways to make “ordinary” diamonds look extraordinary and far more desirable. Having said that and with all else being equal, stones that have undergone treatment are much less valuable than those that have their natural color, despite oftentimes looking better. The most common processing technique used to treat a stone is known as HPHT (High pressure, high temperature) and is used to enhance, alter, or completely remove color. For instance, HPHT treatment can change some brown diamonds into colorless ones or into other colors like yellow, greenish yellow or green. Once processed, the stone’s resulting color is considered to be permanent. Another common form of treatment is called Annealing, which uses controlled heating and cooling to alter the hue of a stone. This is especially true if the gem has previously undergone irradiation. Speaking of which, irradiating a diamond or coating it are other methods used to enhance a diamond’s color. What is Fluorescence and Does it Affect Color? According to the GIA, diamond fluorescence is visible light temporarily emitted by some diamonds when they are exposed to ultraviolet (UV) rays from fluorescent lamps or the sun. The light emitted oftentimes is shown as shades of blue, green, or yellow ranging from very faint to strong. As one might assume, the fluorescence is no longer visible once the stone is removed from the light source. Since diamonds are graded and presented under specialized lighting, the existence of fluorescence is not considered a grading factor by the GIA, but an identifying characteristic. So much like undertones, it does not directly affect the value of the stone in terms of quality, but rather personal taste. With that, we conclude part 1 of our 4C's series. Do you have any questions? Is there something you would like us to cover in more detail? Let us know! And as always feel free to follow us on Twitter and LinkedIn.